Even though science and technology are making progress in creating new antibiotics and vaccines, we still have many incurable diseases including HIV/AIDS, Ebola, Chronic Fatigue Syndrome, herpes, hepatitis, cancers, and influenza. Don't forget the fact that many new strains of diseases are still surfacing. The reason why modern medical science failed in eradicating viral and incurable diseases is that it is 'dealing with results not causes'. For hundreds of years, the real origin of an incurable disease has not been found and attacked, thus the disease itself has been given every opportunity to mutate into new strains of diseases. Generally speaking, that is the situation in today's medical science; nothing more than its single-minded approach of drugs and surgery alone—which in many cases produce new sorts of illness. Viral diseases and diseases of unknown cause can never be cured or eradicated by present materialistic methods of medical science, for the simple reason that the origin of the disease is not material or physical. Even if material treatment alone seems to be successful in treating certain diseases, this is still nothing more than a temporary relief unless the real cause is found and removed. In fact, the origin of many diseases was already known thousands of years ago as the outside negative energy force. It's just that modern medical science had never accepted its theory. In 1968, a Japanese health researcher Junji Takano revealed the origin of cancer and virus after his findings about tuberculosis. The origin of viruses is not material or physical in nature but made up of a certain wave, which he referred to as the negative energy. Also read Junji Takano's article entitled "Outside Negative Energy Force Resides in 5th Dimension". He then came up with the idea of inventing an electronics machine that will eradicate the root cause of cancer and viruses and named it the PYRO-ENERGEN. He found out that applying the surrounding body with static electricity helped eradicate the negative energy and combat the afflictions of the body. Junji Takano tested the PYRO-ENERGEN on people suffering from diseases and observed the results. He needed to determine not only the effectiveness of this technology, but its safety. His experiments consisted of years of time on uncountable number of users. As a result, he concluded that anyone suffering from cancer, viral diseases and diseases of unknown cause, using the PYRO-ENERGEN exactly as directed, would regain their health and experience remission from their illnesses quickly. After more than four decades since the PYRO-ENERGEN was created and applied on millions of people, he experienced many remarkable results for eradicating cancer, viral diseases, and other diseases that believed to be incurable. He received countless letters of thanks from all over the world. If you have a definite desire to improve your health, follow the links on this website for more information. 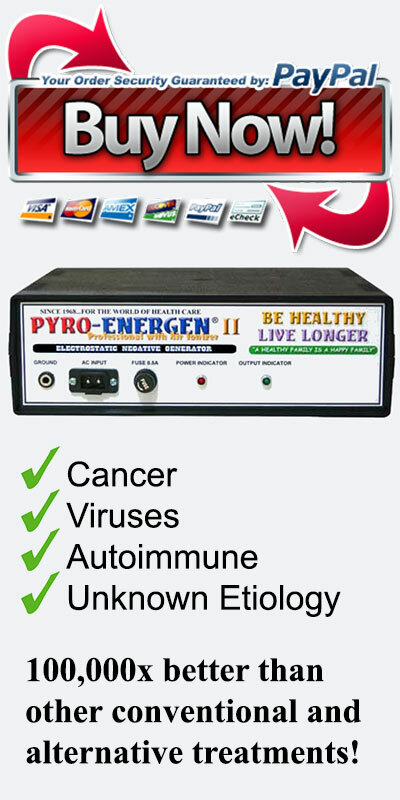 The PYRO-ENERGEN is an inexpensive device and proven effective—why bother with unknown pharmaceutical drugs, costly surgeries, and therapies such as radiotherapy, chemotherapy, immunotherapy, which at times harmful to your health. If you have health problems, act immediately! 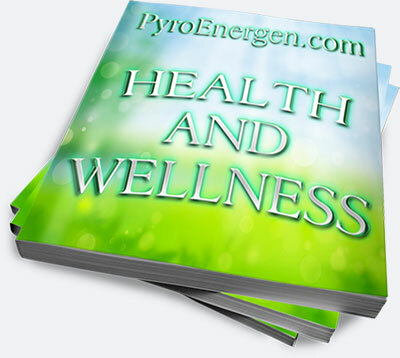 Read about the PYRO-ENERGEN, use it, and you will understand what it means to be healthy and disease-free. It is possible! You only have to believe a little bit and give it a try. We believe that many people who are suffering with supposedly incurable diseases can be healthy once again using the PYRO-ENERGEN. We hope that the literatures in this website will help educate the public who are willing to take the responsibility for their own health care.